Heat oven to 375°F. Spray two 12-oz. individual ovenproof casseroles or ramekins with nonstick cooking spray. 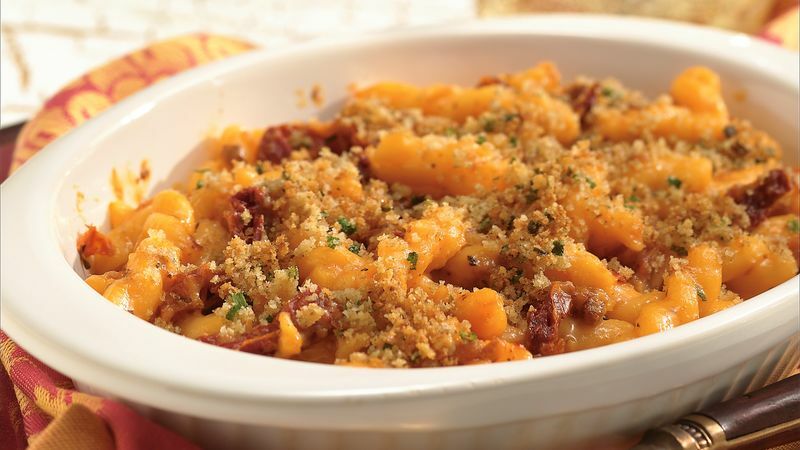 In medium bowl, combine macaroni and cheese, bacon and tomatoes; stir gently to mix. Spoon evenly into sprayed casseroles. In small bowl, combine bread crumbs, chives and margarine; mix well. Sprinkle over each casserole. Bake at 375°F. for 20 to 25 minutes or until topping is golden brown.